Earlier this year we were contacted by a company looking to place a work experience student with us for 6 months. It's important to us that we only take on work experience students that we can properly accommodate and support through their time with us. Joeri is from Amsterdam and is studying Aviation Management at the Amsterdam University of Applied Sciences. We had an interview with Joeri through Skpe and were instantly impressed. We devised a project for him to work on during his time with us and placed him in the heart of the business, in the operations team. Here he proved an asset to the business and it was hard to see him go. Before he returned to Amsterdam to complete his final year of university, we asked him if we could interview him about his time here, as with everything with Joeri, he happily obliged. 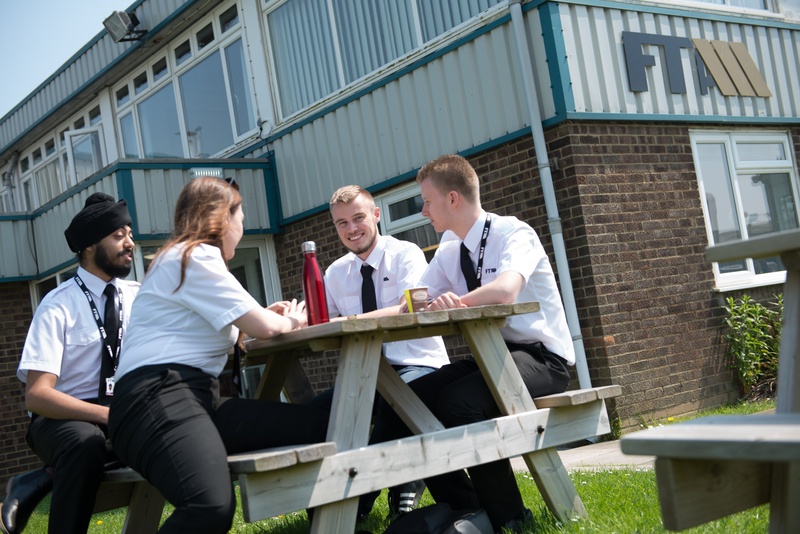 Read on to discover what it's like to work in operations in a flight school, and for a behind the scenes description of life working at FTA Global. How did you find FTA? What made you choose FTA for your internship? I found FTA through the company, Professionals UK who assist you in finding work. She told me about FTA and asked me if working in a pilot school was something I would consider. I had never heard of FTA before and did my research. After visiting the website, I was impressed straight away. I had completed some experience in America at another pilot training school a few years ago. I had enjoyed the experience so decided that FTA would be a great fit for me. The applying procedure was straightforward, and after securing an interview, I got the exciting news that I received an offer. Tell us more about your background before starting this position. When did you first gain an interest in aviation? When I was in high school, we had to do a project for personal development where we could choose any subject we wanted. I picked Physics, and my topic was about how to lift airplanes, put simply; how airplanes can fly - this was when I discovered my passion for aviation. I then studied Aviation Operations for three years at my local college. After college, I then went on to study Aviation Management at the Amsterdam University of Applied Sciences. In your third year of university, you have to do an internship. The aim is to gain experience working in an aviation-related company. As well as working, we have to practice research for our thesis for our final year. So my time at FTA was to be split 50:50 between work, and research for a project. England is a great place for aviation, so I jumped at the chance to study and live here. Can you describe a ‘typical day’ in your job? My job role was an Operation’s Assistant. I would open up the school in the morning, prepare and set everything up for the day. As an Operation’s Assistant, you are required to be on hand to answer questions for students and potential customers. This can be anything from how much fuel is in the plane to maintenance enquires. Other duties involved emailing, mainly booking flight tests and scheduling flights and using our flight scheduling system, FlightLogger. Communication was a significant factor. I spoke to air traffic control and other airports in the UK daily, ensuring all the flights and schedules were ready to go. I also organised and submit flight plans, as well as prepare the flight schedule for the next day. It was essential to ensure the correct students were allocated their slot, and all was in order, for their flights. In addition to working behind the operations desk, I also enjoyed the more physical side of working in a flight school. For example: taking care of the aircraft, turning and pushing them around as well as tying them down if there are strong winds. Every day was exciting and no day was the same. My job gave me a sense of pride and joy, and I felt essential to my contribution to FTA. What do you enjoy most about your role and what are the most rewarding aspects of your job? The most rewarding aspect of the job for me witnessing a student gain their commercial pilot license. It was gratifying to watch them move on, knowing they are now a fully licensed pilot able to fly for major airlines around the world. Obtaining your commercial pilot's licence is not an easy task, so seeing them finish after all their hard work, time dedication and desire to get through is a great feeling. Another rewarding part of the job was finishing a hectic and hard working day. To end the day knowing that the flight schedule has gone smoothly and everyone leaves happy is a nice feeling. I felt the importance of my role significantly, as each day can come with its challenge (variable weather conditions for example). Problem-solving is a significant factor with the role as flying can change at the very last minute. What have you learnt here during your time at FTA? I have learnt lots of things that I had to do here. These include finalising flight plans, communicating with other airports and learning airport procedures, things that I have never really done before and that will be valuable in the future. Also, talking in English every day has been good for me. I have enjoyed working with people from different backgrounds and from all over the world seeing how they communicate with each other. It has been great as everyone learns in different ways and it’s been interesting to see and learn from it. What is your favourite moment during your time here? There are so many to choose from! One of them is the flying side - where I got to both front, and back seat a lot of flights and the views are just breath-taking. In my last week here, I did a presentation of my project to the Management which I have been working on alongside my role of Operations. They were very impressed with it, and it was a great closure to my fantastic time working here. It gave me a sense of achievement, knowing that I contributed my bit to this great company. What advice would you give to someone who would like to work in aviation? If you want to work in aviation then definitely work in Operations. My advice is to get as much experience as you can and apply for internships. There is only so much you can learn from by reading books; it’s the process of actually physically doing these tasks and communicating with others that helps you truly learn. Even if you can only get a week’s experience working within a business, take it and learn from it. I’ve been fortunate with my internships and had a fantastic time. 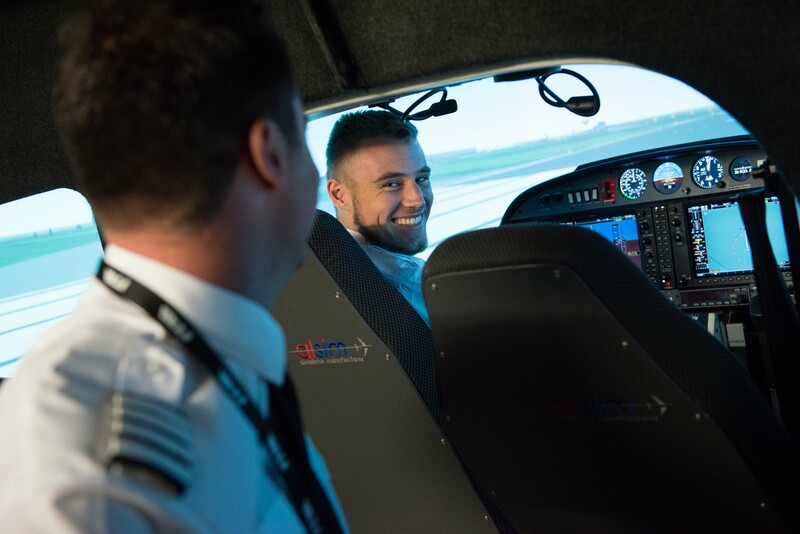 Has your time at FTA made you want to become a pilot? One thing I would now like to do is obtain my Private Pilot’s Licence (PPL), so I can go flying on day trips or the weekends. Maybe one day I will come back to FTA to get it! Although I would love to one day gain my PPL, I have no ambition to become a commercial pilot - I much prefer working on the ground. I will be going on a few holidays over the summer and make the most of my time off work and study. I will then return to university to complete my final year. I’m not sure where I will go after finishing my degree, but I plan to secure a job in Aviation Management where I would love to be an Airport Manager one day, probably somewhere in Europe but who knows my journey can take me anywhere! My experience and time here at FTA has prepared me for anything.